Jason is currently the Head of Global Business Development at Juzix (formerly Juzhen Financials), one of China’s leading blockchain companies aimed to enable distributed data exchange using distributed ledger technology and multi-party computation. 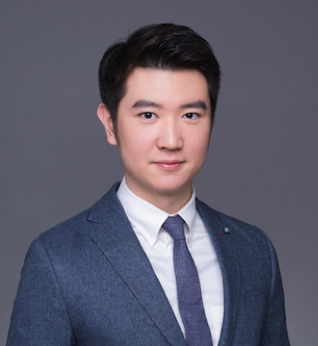 Prior to Juzix, Jason was an Associate at Fenbushi Capital, China’s first blockchain venture capital based in Shanghai. He managed all deals and relationships in the North & South American regions, closing 7 deals during his time at Fenbushi. He was also the Director of Marketing and Operations for Wanxiang Blockchain Labs, China’s first blockchain lab dedicated to educating, promoting, and developing blockchain technology. He co-organized the International Blockchain Week, China’s largest blockchain conference that was held in Shanghai of 2016 in collaboration with Ethereum’s Devcon2. Jason is currently a Mentor at Alchemist Accelerator, one of North America’s best accelerator for enterprise solutions, and currently an advisor for Authenticiti, a blockchain company focused on supply chain and product provenances. Prior to joining the blockchain space, Jason ran his own start-up and was an iOS developer where he specialized in Objective-C programming. Jason graduated from Bentley University in Waltham, MA majoring in Finance and Economics with a Minor in Law.